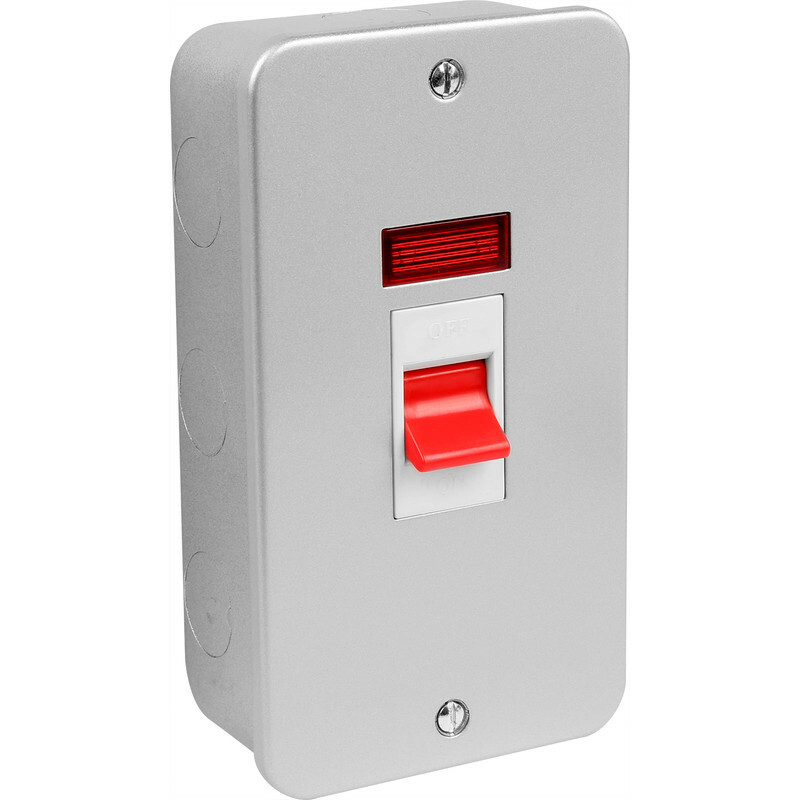 Axiom Metal Clad 45A DP Switch 2 Gang Upright Neon is rated 4.0 out of 5 by 1. Rated 4 out of 5 by DiZastor from Well made but a tad small Well made and strong did the job but was quite fiddly to get everything in. If you have a complicated installation get a larger box.